To develop emotionally intelligent leaders of excellence and integrity for the generations to come. Our mission is to provide a warm and welcoming environment where teenage girls can speak their mind without judgment, start the journey to self-acceptance and become the leaders they were destined to be. Our life skill development curriculum is one for the record books. It is so engaging and life altering that we’ve been asked to faciliate the program for adult women; to help them increase their EQ. Having started in the basement of my home, Seed of Hope has grown to be more than I had ever imagined. The best part of it all is that I get to see my daughter transformed into this amazing woman as she continues to lead this organization. 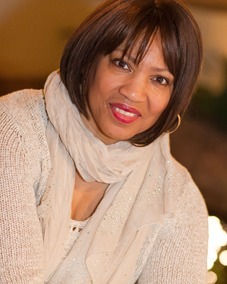 2009– Jacqueline Barnes launches Seed of Hope Foundation in the basement of her home and impacts lives of teen girls throughout the Maywood and Bellwood community. 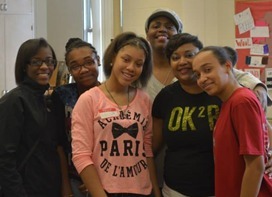 2010 – Seed of Hope Foundation is sought after by Proviso West High School Sponsor Karen Jones to facilitate Life 101 at a high school girls conference. 2011– Seed of Hope Foundation sponsors its first group of young entrepreneurs to a youth business conference in Atlanta. 2012– Seed of Hope Foundation is recognized for its mentoring program and work in the community by Passages Alternative Living in Chicago, IL. Seed of Hope Foundation sponsors its first city-wide conference for teen girls and women’s health awareness day in partnership with FAM Entertainment. Over 200 lives touched. Seed of Hope Foundation was recognized as a top-rated nonprofit on Great Nonprofits.org by its participants, donors, and supporters. Seed of Hope Foundation’s executive director is recognized as an emerging nonprofit leader in the country by BoardSource. 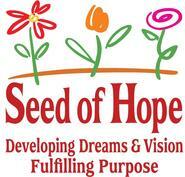 Seed of Hope Foundation begins to receive its first flow of community grants for its mentoring program. 2013 – Seed of Hope Foundation expands its footprint and speaks to over 200 kids at Bolingbrook High School. 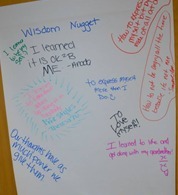 Seed of Hope Foundation launches its first Leadership Conference for teen girls on self-love, choices, and depression. Over 40 young women’s lives touched. 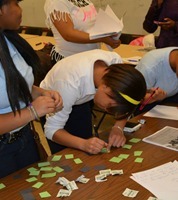 Seed of Hope Foundation partners in Service Learning with Lewis University. 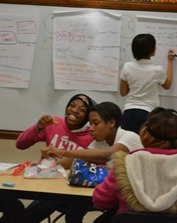 2014– Seed of Hope Foundation partners with Mercy Home Boys & Girls Club to build the EQ of troubled teen girls. 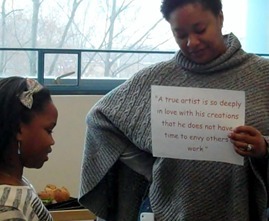 Seed of Hope Foundation launches its after-school mentoring program at Irving Elementary. 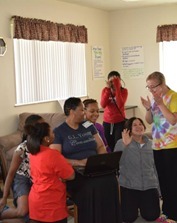 Seed of Hope Foundation celebrates five years of service to the development of emotional intelligence of teen girls.